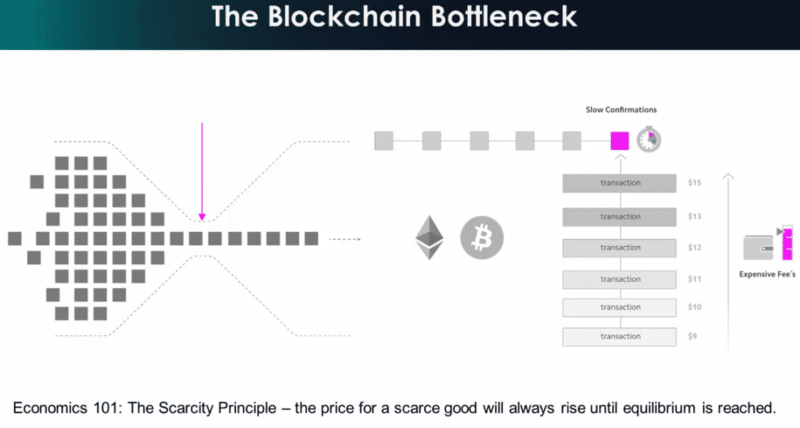 "IOTA 100 Billion Reasons Why"
Scalability is fast proving to be the make-or-break feature in the distributed technology race. Nowhere is this a more pressing issue than with the IoT (Internet of Things). In the talk given here by Terry Shane, it’s stated that, “by 2025, the IoT will exceed 100 billion connected devices”. This means in just 7 short years, there may be, “12 devices for each man, woman and child.” Considering many of these devices will be constantly and autonomously communicating with each other without human intervention and the scope of the issue becomes apparent. 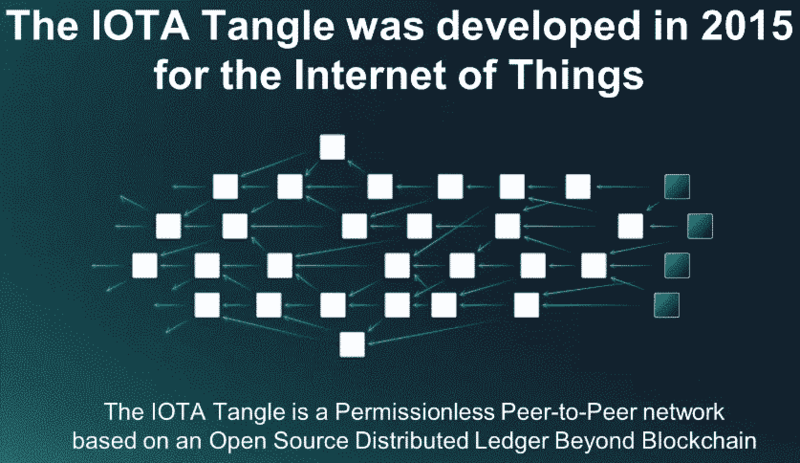 IOTA, “a next generation permissionless distributed ledger that utilizes a novel invention, called a “Tangle”” is proposing to solve this problem. Terry states, “it has no blocks, no chains, no miners and there are no fees ..and it only gets faster as it scales”. How is this achieved? Think Napster where utilizing the network requires a small amount of work to be done by you. There’s little information on exactly how transaction validation is enforced. The IOTA dev section does partially describe how “PoW on the Tangle” operates but questions arise. When a client needs to validate 2 transactions in order to get their transaction into the network, it’s unclear how bad actors are punished. As for transaction consensus and confirmation, IOTA offers two methods. The first, a centralized system called a “Coordinator” run by the IOTA Foundation which can give a definitive transaction confirmation. This is achieved by issuing “Milestones” every 2 minutes which contain the referenceable transaction information. Replacing “Milestone” with “block” makes this system sound suspiciously like a typical blockchain, minus the trustlessness. The second, method for transaction confirmation is more complex. An entity on the network can essentially “ping” as many other random entities and ask if it’s “seen” a certain transaction (by ID) and if it’s confirmed it. This gives a “probabilistic answer”. More information can be found here on both methods described above.